Take a trip south of the United States border and you’ll find passion for the game like nowhere else. 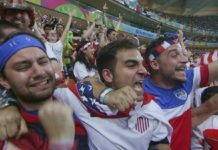 Whether it is Mexico, Argentina, or Brazil, aka o Pais do Futebol (the country of football), football in Latin America is simply a part of everyday life. Of course, this extends from the traditional game to freestyle and street football as well. 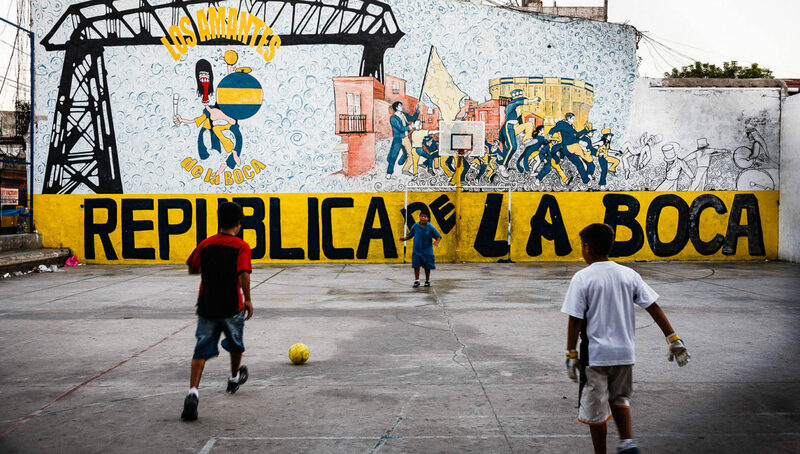 With that in mind, let’s explore some of the best street and freestyle football skills from Latin America. 10. How Long Can You Go? Argentina has a new baller to brag about. The 2017 TAFF Female Champion, Soledad Arena comes out strong with some hard lowers. Thirteen revolutions in a row? Not too shabby. She shows extreme control and balance in her videos, which include juggling while walking on ledges and even a treadmill. At just 14 years old, Ciro Alexander has an impressive array of lowers moves. The lanky Argentine fittingly looks up to lowers bosses Luca Chiarvesio, Timur Alekseev, and Danny Comesana. Kika Pol Okocha is simply the buff Sean Garnier. The Costa Rican pro street baller has some surprising agility behind his impressive muscles, and he is known to punish opponents with megs on the street. Really though, this guy has his own style and his size is kind of intimidating. But according to this video, he’s a friendly hulk. As he describes himself, Francisco Ascencio is a Nicaraguan who is passionate about self expression, empowering others and of course, freestyle. Francisco has a very dynamic freestyle flow where he will switch from sits to uppers very quickly and then drop to lowers. Rafael Reyes is a talented Argentine freestyler with plenty of uppers talents. His creativity has led to him adding a little flavor to his style, incorporating some shoulder flicks into upper stalls. 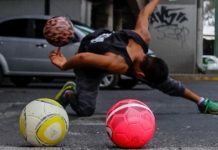 Freestyle football is a sport that sparks creativity, and allows players to add unique variations to time-tested tricks. Jesus Ramirez, originally from Mexico but now living in New York, is taking the J-Stall to the next level. He is a big fan and gets inspired by Maarten Van Luit. Jesus loves the J-Stall and wishes to keep improving at the trick. Remember Neymar Jr.’s juggling challenge a little while ago? Well Cero Kskrero has taken it to the next level with his freestyle swag. Cero is considered a pioneer in the sport in Mexico and has been practicing for over 15 years. His profile is very artistic and definitely stands out with his clever ideas. Not to mention, he kills his lower combos. 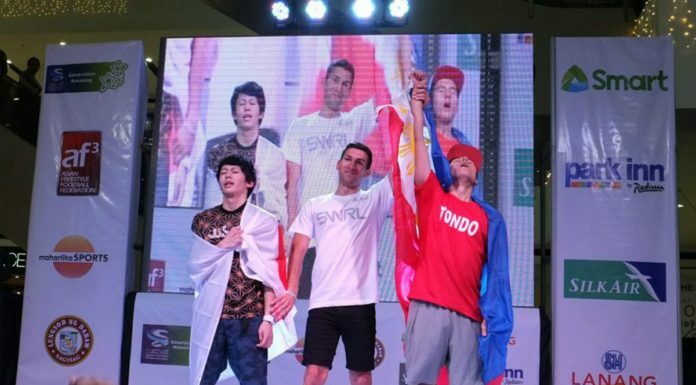 At 17 years old, freestyler Franco Garo Gonzalez finished in the top 16 at the Chilean National Championships. He loves to push his lowers to the limit, with his favorite move being the Alt MG and favorite player being Akim. We’re excited to see what Franco can accomplish this year! Alan Landeros Perez. Say it again. Alan Landeros Perez. 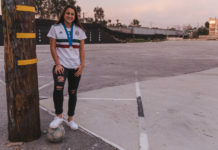 Inspired by legends like Jeand Doest and Soufiane Bencok, this 16-year-old baller is a smooth operator. Alan has his own variation of the Akka and loves throwing the Mouse Trap. He has already found himself competing in some ground moves competitions and hopes to compete in bigger tournaments like Panna Bullfighting next. His slick moves have only been in the works for less than two years! Iago Vitorini finds himself freestyling off of Brazil’s coast in a city called Praia Massaguaçu, near Rio de Janeiro. This macho man is a videomaker and also a YouTuber. Recording freestyle footage while getting to try out new variations including on a trampoline and underwater? We couldn’t think of a better way to spend our time. Iago is a monster for landing this knee trick.